On 31 July, the minister for women, Kelly O’Dwyer, presented the third progress report to parliament on the Australian national action plan on women, peace and security 2012–2018 (NAP). 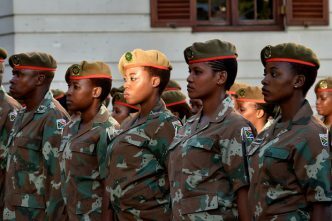 As you’d expect, the government report paints a positive picture of various efforts that have been undertaken in the two-year reporting period (1 January 2016 to 31 December 2017): women’s participation in the ADF has increased modestly, the value of gender expertise has been recognised in some key policy documents such as the 2016 defence white paper, and most Australians deploying on operations are now receiving training on women, peace and security (WPS). Yet this progress report—like the first and second reports before it—is hindered by a focus on cataloguing tasks and activities rather than assessing their impact. In the press release announcing the third report, we’re informed that ‘100 per cent of Australian Defence Force personnel deployed overseas are now trained in the Women, Peace and Security agenda, compared to a baseline of 53 per cent in 2012’. However, the report provides limited information on the types of training, the duration or format of delivery, feedback from those taking part in the training or analysis of how it was applied on deployment. More importantly, we don’t know whether it is resulting in change within the ADF when it comes to strengthening Australia’s implementation of WPS. This criticism isn’t new. An independent interim review in 2015 found that, among other things, Australia’s first NAP lacked effective monitoring and evaluation mechanisms, which ‘limit[ed] the ability and utility of the government’s progress reports to qualitatively assess progress and impact’. In the case of the statistics on training, the review recommended that quantitative data be supplemented with ‘post-deployment perceptions about the impact and applicability of WPS training for day-to-day operations’. And that’s only one example in the report. Australia hasn’t been alone in facing many of these challenges. NAPs have been a critical tool for countries to progress their commitments on WPS, and have become a readily identifiable benchmark for success. A seminal global study by the United Nations in 2015 on the implementation of Security Council resolution 1325 on women, peace and security notes that many early NAPs focused on processes over outcomes. It identified ‘monitoring and evaluation’ as one of several essential elements for effective NAPs, yet it’s something that’s frequently overlooked. It will be one of several key considerations for government and civil society as work continues in the coming months to formulate Australia’s next NAP, expected in mid-2019. We need to be wary of focusing on formal progress reports and NAPs as the only means to measure whether Australia is making progress on WPS. 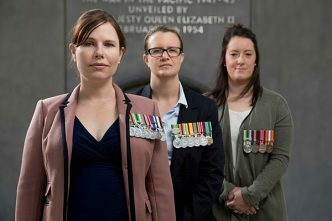 There remains no shortage of criticism, particularly over Defence’s efforts to actively increase the number of women and overall diversity within the defence force (demonstrated most recently with outrage over the navy’s commitment to the ‘100 days of change’ campaign and advice on gender-inclusive language in the ADF). Much of this recent criticism has focused on populist arguments about the military becoming too ‘PC’ and the ADF having lost its way. Yet this commentary has provided little substantive analysis on how Defence’s commitment to diversity and inclusion detract from ensuring the ADF is prepared to address the strategic environment it will face in the future, beyond harking back to days gone by. 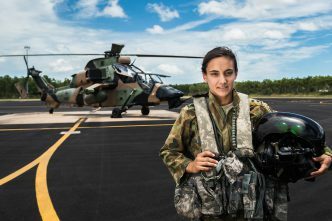 Advancing WPS (including by ensuring that Defence is an inclusive organisation and remains an attractive recruitment option for women and under-represented groups) isn’t at odds with preparing the ADF to operate effectively in the challenging strategic environment that Australia is likely to face in the future. If anything, it will enhance the ability to respond to that environment. Take the example of Defence’s engagement in our immediate region, the Indo-Pacific. The region is the most disaster-prone in the world, accounting for more than half of the 19 million people displaced by extreme weather events last year. Australia’s ongoing engagement and support in the Pacific is as critical as ever given the growing foreign influence in the region. Part of that engagement will involve an ongoing readiness to respond when a disaster strikes. The ADF needs to be prepared and capable of responding to the needs of the entire population, and that can’t be done successfully without women. 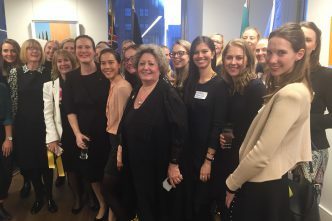 Part of the challenge across government, including Defence, is communicating how change is being effected through policies that increase women’s participation in the ADF and ensure personnel are integrating a gender perspective into their work. Stronger monitoring and evaluation mechanisms in the next NAP would emphasise impact over activities, and ensure that Australia is better placed to effectively demonstrate tangible progress. But we shouldn’t be complacent and rely solely on the NAP to drive these important reforms. Comprehensive discussion about these challenges shouldn’t be confined to the energised WPS community. Dialogue needs to be taking place with those across government that are working on security issues but that, through choice or design, remain blind to WPS dimensions of their work. 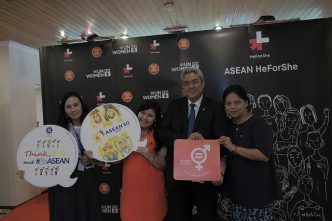 It also requires greater engagement in the public sphere beyond sensationalised commentary, bureaucratic progress reports, defensive press releases and speeches that tend to occur on International Women’s Day or at women-in-leadership events. We need to shift the debate to ensure that WPS is front and centre in our discussions on national security, rather than an afterthought. Lisa Sharland is head of the international program at ASPI. Image courtesy of the Department of Defence.